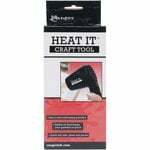 Tim Holtz is known for setting trends and offering new solutions for crafters. He's done it again with the Embossing Diffuser Set #2. 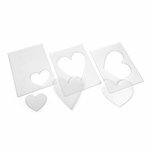 This set of three, clear templates and three inserts from Sizzix are made of ABS high-quality plastic. 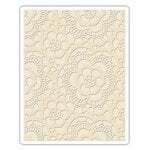 Use them to add or remove texture anywhere on your embossed design. This will give you even more options for using with your Texture Fades, Texture Trades or Textured Impressions Embossing Folders (sold separately). You will also require a BIGkick, Big Shot, Vagabond or Texture Boutique machine (not included). The process is easy. All you have to do is create a sandwich with your material, the embossing folder, either the template or Embossing Diffuser, the machine's Platform (not needed if using a Texture Boutique) and run it through your machine. Included in this package is a diagram that explains how to make the perfect sandwich for these machines. The effect you create will depend on whether you use the inset or template. 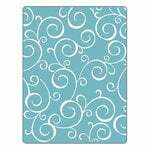 If using the template, you will emboss around the opening of the Embossing Diffuser. If using the inset, it will emboss the inset shape only. 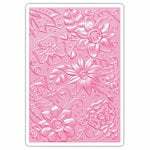 Embossing Diffusers will exactly counterbalance the required pressure and height needed when used with cardstock, foil, paper, and other thin materials. 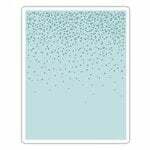 The Embossing Diffusers measure 4 1/2" x 6" and are 1/8" thick. They can be used thousands of times. 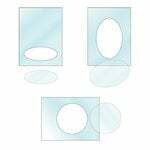 The designs included in this package are Arch #1 (opening/inset is 2 1/2" x 3 3/4"), Rectangle #1 (opening/inset is 2 1/2" x 4") and Square #1 (2 1/2" x 2 1/2" opening/inset). 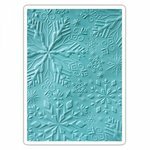 Love these thingys... they make my embossing folders able to do so much more. When I bought the first set I was a bit apprehensive that I could use it to it's capacity - It looks easy when Tim demonstrates it! Well I was comfortable with it right from the start and have used it quite a lot - When I saw Tim had produced a 2nd. set I couldn't wait to get it - when I opened the box they were near the top and when I got them out I got out me Big Shot machine and started using them - I didn't get back to unloading the box until 1 hour later. Does not work as stated in the description. I have the same problem with this set that I did with the Diffuser set 1. While the large pieces go through my Texture Boutique ok I cannot get the small templates to work at all. I have tried taping them, almost forcing them and they just won't work. Don't know if it is a manufacturing problem (possibly too thick) or if these are designed specifically for one type of machine. Rather disappointed in this product. Haven't used yet due to the Christmas rush.Disappointed that they are so small.